Nice blueprint for approaching an architecture document for SharePoint can be found at: http://social.technet.microsoft.com/Forums/en-US/sharepoint2010general/thread/351284a4-6bf4-42d2-88b8-34965880edf2 We actually found that the TOC provides a nice comparison with what you might have already. We didn’t hear about it before, but the TITUS Metadata Security for SharePoint allows organizations to set security settings based on metadata: http://www.titus.com/software/sharepoint/metadata.php Interesting, but we are wondering though: does this revert to item based security? Why not use folders instead (we know, a sensitive topic for many) and save some money? We’ve learned that in general sales people of 3rd party vendors tend to read this blog, so we won’t be surprised if the answers to these questions pop up in a while in the form of comments. We’ll just have to wait and see. 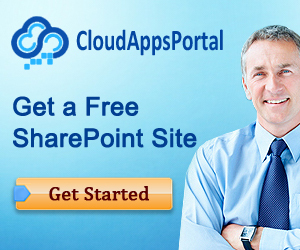 – Create a WCF service in a SharePoint context. – Create a separate WCF service. 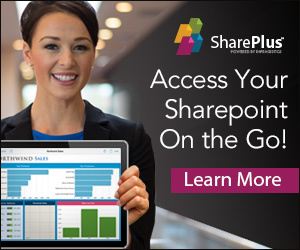 A couple of years ago we wrote an article about the different ways of accessing SharePoint list items and leveraging enterprise cache in the process: http://www.loisandclark.eu/Pages/Velocity.aspx/ . As it turns out, the contents of the article are still very actual, but the Enterprise cache sample code for the Windows AppFabric Cache (which was called Velocity at the time) needs an update, although the process didn’t actually change that much. // No region found, but that’s ok.
// Pass true if you want to allow the eviction of cached objects. Finally, after a bit of head slamming and crying: “why does this simple WCF service keeps having an empty WCF call history?” we found the answer. Nothing wrong with that in particular. Double-checked that monitoring was enabled in the config file. We invoked the WCF service using the WCF Test Client. Nothing… Waited 10 seconds and tried again… Still nothing. Then, it hit us: the AppFabric Event Collection Service and Windows Event Collector services weren’t started. If nothing else, this is a note to self to insure we won’t make this mistake again!